What happens when evil wins? That’s the question Superman, Batman, the Justice League and every being in the DCU have to face when Darkseid and his otherworldly legion of narcissistic followers actually win the war between light and dark. 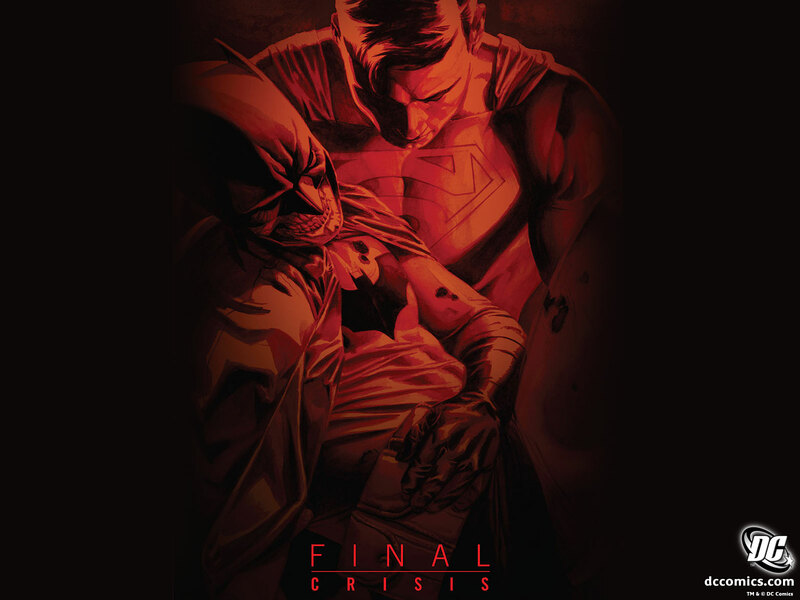 Featuring the deaths and resurrections of major DC characters, FINAL CRISIS is more than your average multi-part event-it’s a deconstruction of Super Hero comics and a challenging, thought-provoking take on the modern, four-colour icons. Final Crisis was in 2008 and 2009 the big event book. It would see an epic showdown between almost every character in the DCU against one of its most infamous villains, Darkseid. Spanning 7 issues and 352 pages the story would see Darkseid attempt to resurrect himself and in the meantime brings reality crashing down around him while he did it. You would think that this a simple enough plot but, of course, because this is a massive crossover there are also many sub plots going. Final Crisis is a so colossal in scale, not only in terms of story but also in visuals that it can sometimes almost overwhelm you. But that is sort of the point. The story is on such a scale that it should make you feel sucked into this catastrophic event and make you feel overwhelmed by the magnitude and scale of all of it. Even with this massive overarching plot, Morrison manages to keep the plot fairly simple: Darkseid is in his death throws and because he doesn’t want to die he is bringing the entire universe down with him. As I said, there are many subplots but that is the main focus of the story. Due to the scale of the thing it is easy to lose your bearings in terms of the story; I often had to read a page twice just to make sure I got everything sorted out in terms of the plot. Even so, this isn’t necessarily a bad thing; it means that you can get a greater sense of the story by re reading it and sometimes notice things that you didn’t see the first time. These little details help build up a great picture of the universe that is shown being destroyed in front of your eyes. The artwork throughout is great and a round of applause has to go the artists that worked on the book, J. G. Jones and Marco Rudy. Rudy’s work in particular was spectacular and he managed to capture both Batman and Darkseid extremely well. The artistic work done on the book was superb and made you feel a part of the world Grant Morrison had created even more so. Final Crisis is a well thought out, massive sprawling odyssey of a book. It goes across the multiverse and gives every single one of its various characters a moment to shine (except of course Martian Manhunter. Poor Martian Manhunter) which makes it an even better book. Yes it can be overwhelming at time but that is part of the fun and joy of reading a book like this. It is so big it is hard to conceive of something like this happening. It is pure, fun fantasy in its best form.